Spring is always a welcome sight in Western Montana’s Glacier Country. Don’t get me wrong, we are winter-loving snow enthusiasts, but when the powder starts melting and the birds start singing, well, WE LOVE THAT. 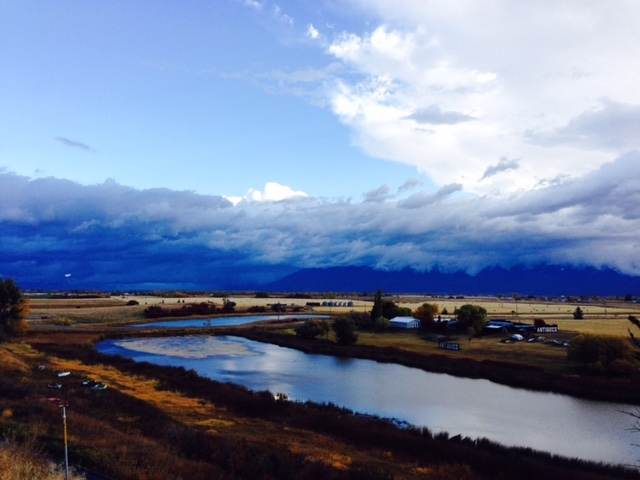 Spring in Montana has a flair for the dramatic, with bright blue skies dotted with billowing clouds. Mountainsides filled with blooming wildflowers and emerging wildlife make it one of the loveliest seasons to visit, yet one that is relatively undiscovered. While we have lots of great spring destinations in Glacier Country, we’ve rounded up our top three to add to your spring itinerary. The boat dock at Apgar Village in Glacier National Park. Glacier National Park is open year-round, and spring is one of the quietest times to explore, with less visitation than summer. 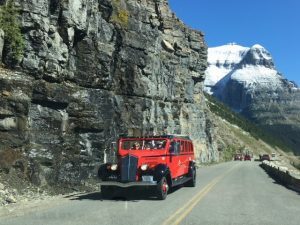 The Going-to-the-Sun Road traverses the mountainside and doesn’t open in its entirety to vehicular traffic until the plows have finished removing the snow up at Logan Pass, around the 3rd weekend in June. However, the road is open earlier to walkers, runners, hikers and bicyclists. A favorite pastime for locals—that’s catching on with visitors—is biking the iconic road while it’s vehicle free. 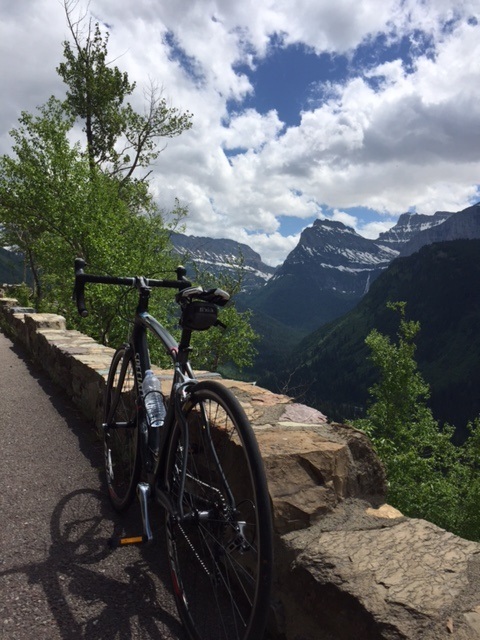 It’s a bit steep on the way up, but the views are breathtaking and the ride back down is swift and exhilarating. 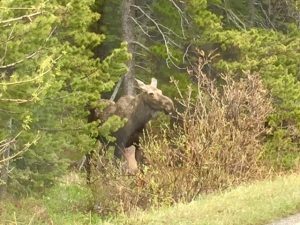 Wildlife watching in Glacier National Park during the spring is always an exciting time, as new offspring can be spotted. (Be sure to keep a safe distance and never feed the animals.) Here are more tips on safely watching wildlife in the West. Moose sighting in the spring. 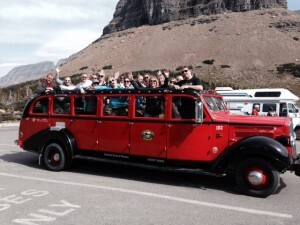 Additional activities: red bus tours begin in late May with the Huckleberry Mountain Tour. Hiking is always a fun adventure this time of year. To find out which trails are clear of snow, visitors can call 406.888.7800. Much like spring feels to summer, Bigfork is often overlooked as a place to visit over its larger and more well-known neighboring towns of Kalispell and Whitefish. However, Bigfork is one of the most charming towns you’ll discover in Western Montana. 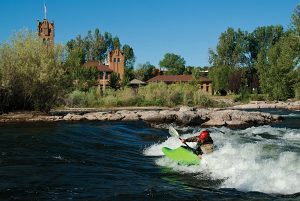 Sitting on the northeast shore of Flathead Lake—the largest freshwater lake in the Western U.S.—Bigfork hosts a variety of spring events, including Taste of Bigfork and the Bigfork Whitewater Festival at the end of May. Watch as kayakers paddle a class IV section of the “wild mile” on the Swan River. 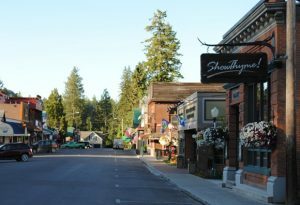 Take time to check out the art galleries, boutique shops and restaurants in downtown Bigfork along Electric Avenue. 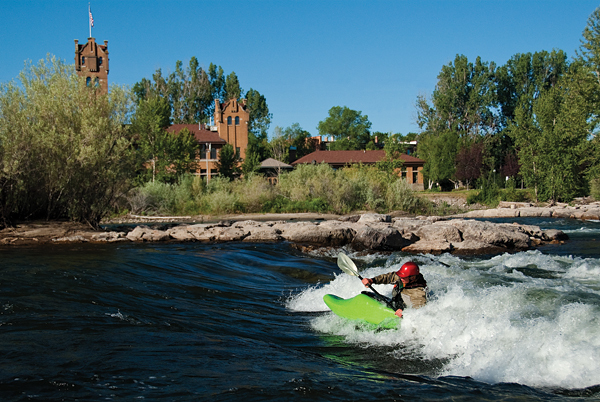 Missoula’s ease of accessibility to the outdoors makes it a special spring destination. Less than an hour away is the National Bison Range and a host of wildlife viewing that takes place there every spring. Not only do bison roam the expansive 18,500-acre range, so do elk, deer, antelope, bighorn sheep, coyote and bear, as well as multiple kinds of waterfowl. 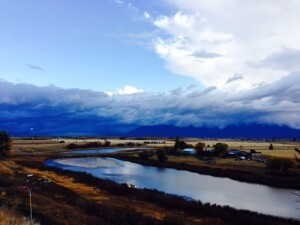 Missoula sits at the convergence of three rivers. The Blackfoot River and the Bitterroot River flow into the Clark Fork River, which flows through the heart of downtown Missoula. 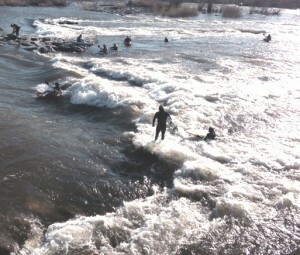 With the spring runoff, the rivers is high and the kayakers and surfers rejoice. 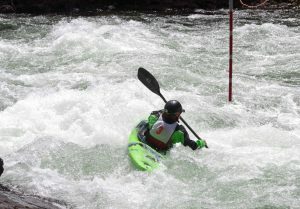 Make sure to stop and watch them from Caras Park in downtown Missoula as they paddle on Brennan’s Wave. Join in on one of Missoula’s special spring events like the International Wildlife Film Festival or the Garden City Brewfest. Hike the M trail on Mount Sentinel for views of the sweeping valley below. 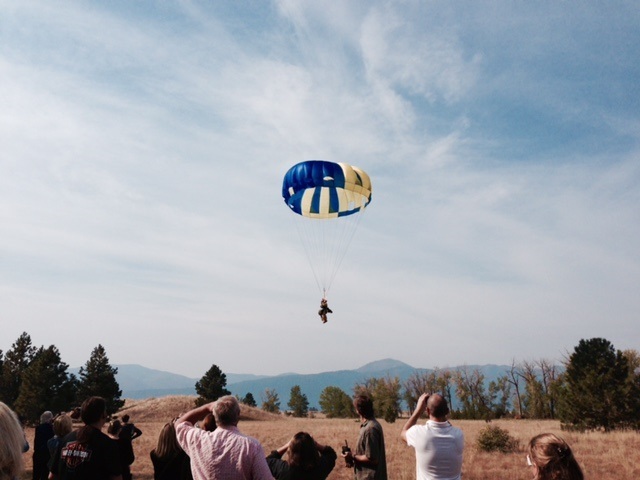 Visit Fort Missoula to learn about the early settlement of the region or take a tour of the Missoula Smokejumper Visitor Center to get a glimpse of what life is like for the brave men and women who parachute into our national forests to fight wildfires. 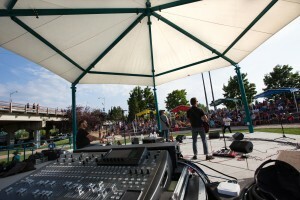 Missoula also has a thriving downtown with lively music and culinary scenes that will delight visitors of all ages. 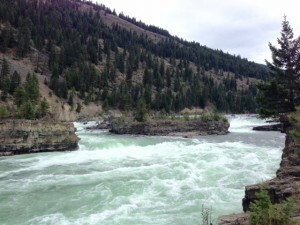 This entry was posted in FIT, Motorcycle Tours, Tour Operators and tagged Bigfork, FIT, Glacier National Park, Group Tours, Itinerary, Missoula, Moiese, Tour Operators on February 15, 2017 by Debbie. Seeing the states of Montana, North Dakota, South Dakota and Wyoming by motorcycle, rental car, or motorhome is the most popular and practical way to go. I’m often envious of the people I’ve talked to over the years, who are able to take two – three weeks for a holiday to the Rocky Mountain West. Having grown up in Wyoming, I’ve traveled the region extensively and can still say with certainty that I have not seen or experienced it all. Hitting the open road in Montana. These four states make up the Real America Region and are intrinsically connected to America’s western history and include many of the country’s greatest national treasures, including the world’s first national park—Yellowstone; the crown jewel of the continent—Glacier; the only national park named after an American President—Theodore Roosevelt; and the symbol of American democracy—Mount Rushmore; all in one trip. Taking in the view of Glacier National Park. 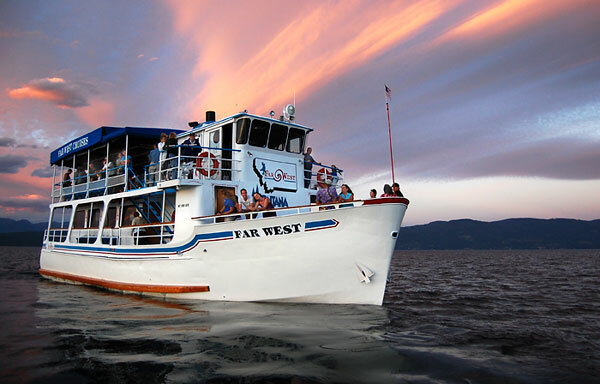 Many experienced and well-respected tour operators and travel agents specialize in this region and work to provide their clients the best possible experiences the West has to offer. 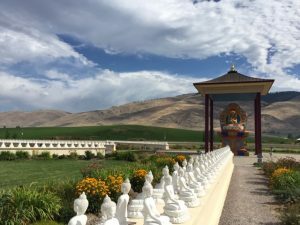 With a region as vast as Montana, North Dakota, South Dakota and Wyoming (Montana alone is the size of Germany), it’s easy to miss lesser-known attractions and experiences. Follow this LINK to download our Best of the West itinerary through the Real America. This 21-day journey is a top route offered by tour operators and travel agents across the globe. And if that’s not enough to get you started, I’ve rounded up a few additional tips to get you off the beaten path. Direct flights and easy driving conditions make it ideal to fly directly into and out of major international hubs like Denver, Colorado, or Minneapolis/St. Paul/Bloomington, Minnesota, and rent a car or RV to take your family through the Real America. Denver is one of my favorite U.S. cities and provides an incredible Rocky Mountain welcome with sunshine, blue skies and a scenic mountain backdrop as you step off the plane. After 10 hours on a flight, that can make all of the difference! Take a stroll down the 16th Street pedestrian mall or get geared up with a your cowboy hat and boots at Rockmount Ranchwear; a Denver mainstay where western shirts with snap buttons were first introduced. As you head north from Denver, you’ll be headed to my home state of Wyoming. 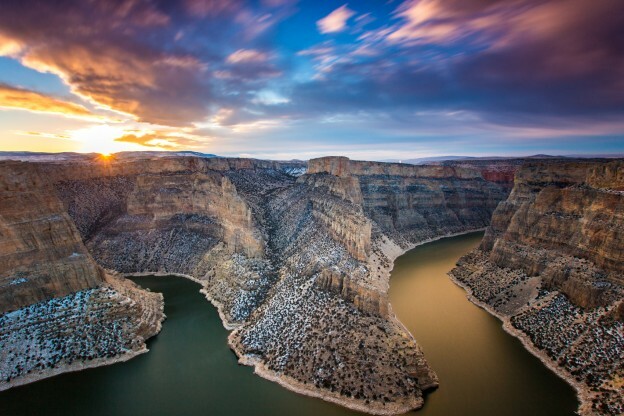 One hidden attraction on the route between Yellowstone and the South Dakota’s Black Hills is Bighorn Canyon National Recreation Area. 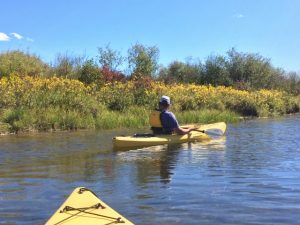 Opportunities for bicycling, boat tours, camping, fishing, hiking, horseback riding and wildlife watching are all abundant. 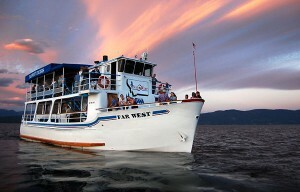 I remember taking a boat cruise with Hidden Treasure Charters in what turned out to be awful weather on a spring day. I left, though, with lasting memories of Captain Mark navigating us through a magnificent canyon that I never knew existed. Sidenote: Bighorn Canyon is the 3rd largest canyon in the United States and is largely unknown. 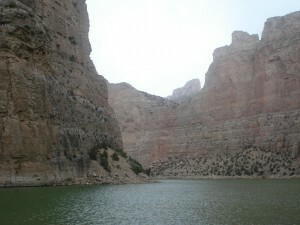 Touring Bighorn Canyon with Hidden Treasure Charters. As you you continue to traverse your way through Wyoming, you may see more wildlife than people. As is the case in the northeast corner bordering South Dakota at Devils Tower National Monument. Here you’ll find America’s first national monument, an astounding geologic feature that protrudes out of the rolling prairie. 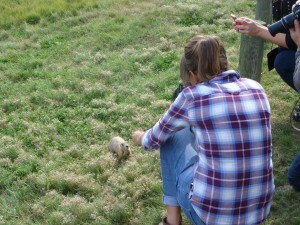 But you’ll also find a colony of prairie dogs that are worth visiting if you truly want to be entertained. These little guys are cute, put a smile on your face and will even pose for your photos, but please do not feed them. 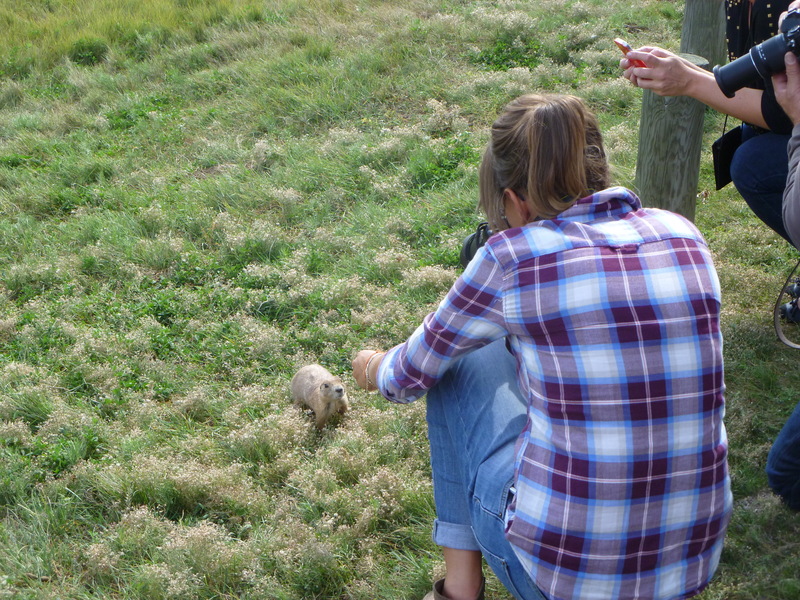 Getting the perfect shot of prairie dogs at Devils Tower. North of Wyoming is the big sky state of Montana. 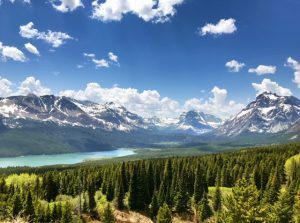 It certainly lives up to its name with the expanses of prairie valleys that extend into mountain peaks that seem to reach to the sky. One of my best memories of Montana is visiting Philipsburg, a charming small town on a scenic mountain route on your way from Yellowstone to Glacier National Park. 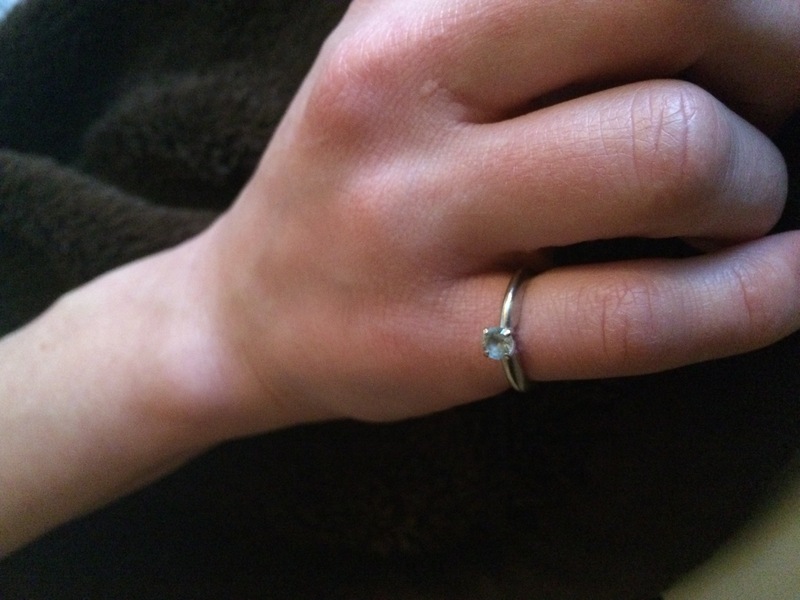 Take scenic route Highway 1 from Butte to Missoula and plan to stop in Philipsburg at The Sapphire Gallery—the only all sapphire and ruby store in the U.S.
My best memory of Philipsburg: this pinky ring (that I mined myself) and gifted to my wife for her first Mother’s Day. It’s one of our most cherished family heirlooms. 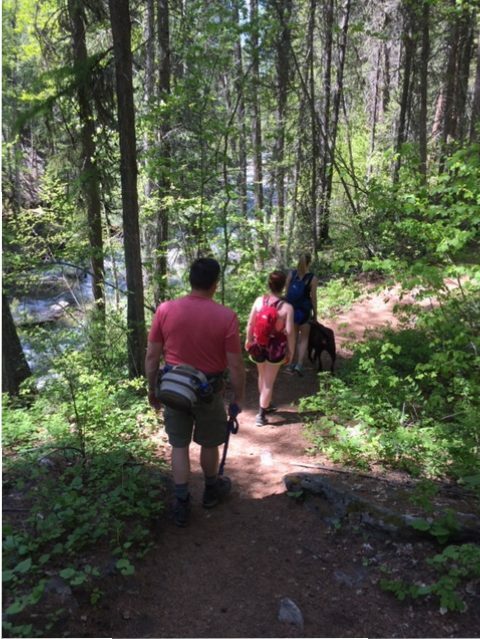 Continuing on your voyage to Glacier National Park, make sure to overnight in Missoula and hike the ‘M’ on Mount Sentinel, preferably in the early morning. I’ve done this twice now and if I lived there, would probably do it every day. 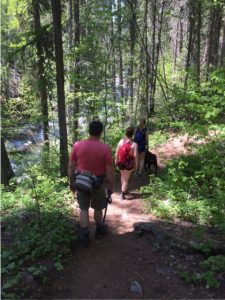 It’s a short hike, with the help of 11 switchbacks, and offers an incredible view of the entire valley and surrounding mountains. Nice way to burn off a few of those vacation calories that are likely starting to add up from the varied culinary offerings en route. 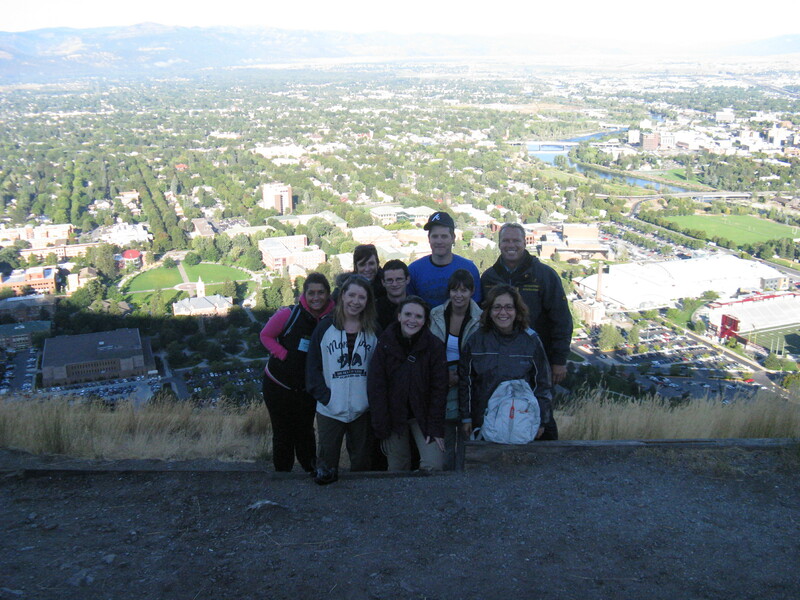 The view of Missoula from the ‘M’ on Mount Sentinel. Western South Dakota is home to Mount Rushmore and Badlands National Park, among many other attractions. 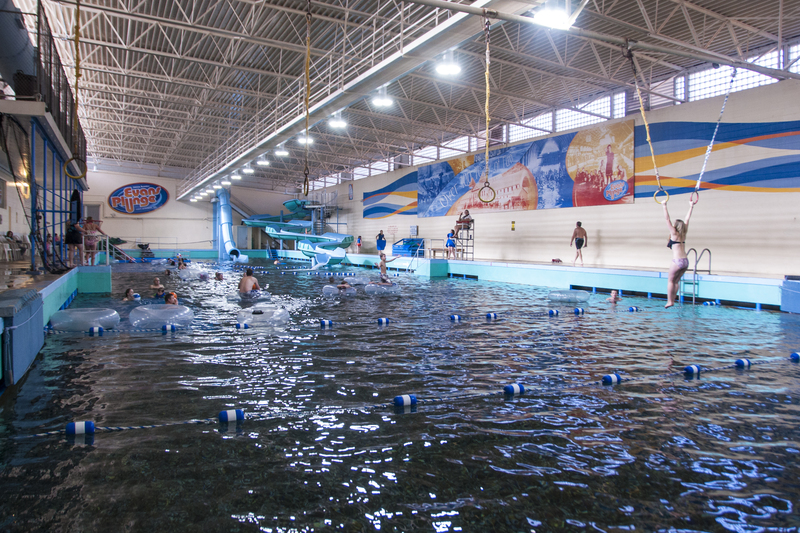 A family favorite of ours is Evans Plunge in the southern Black Hills town of Hot Springs. Swim, splash and soak in the warm mineral waters that both Lakota and Cheyenne American Indians utilized for their healing properties centuries ago. The best part: the hot springs are all natural and have no additional chemicals added to them. 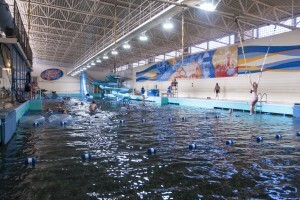 Evans Plunge indoor pool, a favorite of my 10-year-old daughter. 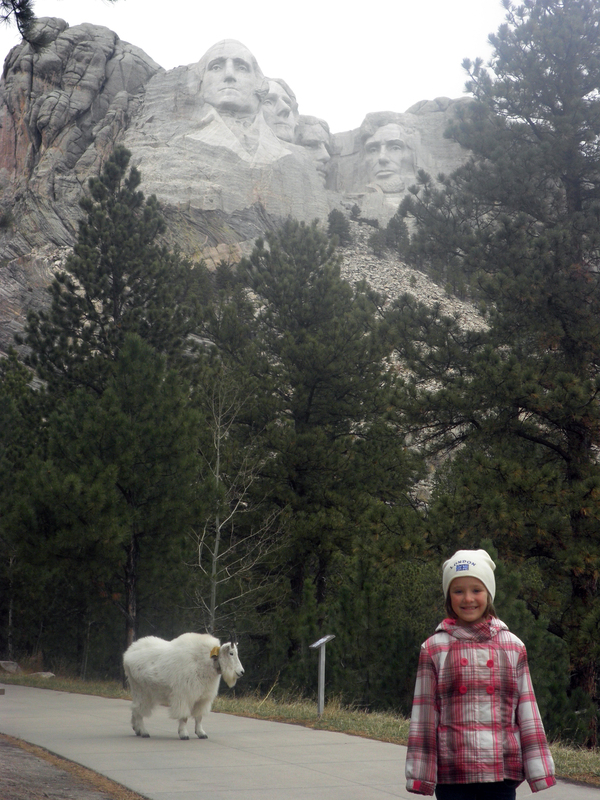 In the central Black Hills—and at one of the most iconic spots along the Best of the West tour—is Mount Rushmore National Memorial. My best advice: after getting a picture of American presidents George Washington, Thomas Jefferson, Theodore Roosevelt and Abraham Lincoln, take a hike on the Presidential Trail for a chance to see local wildlife and a different perspective of this iconic American attraction. Great faces + mountain goats = a match made in South Dakota. Hands down, North Dakota’s main attraction is Theodore Roosevelt National Park. A tract of land set aside in honor of the “Conservation President” and someone who exemplified preservation and the safeguarding of natural wonders, this pristine park has no accommodations or shopping but instead offers untouched nature and wildlife. 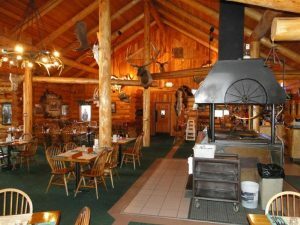 After taking a scenic drive through the park, where you’ll likely see bison and horses, plan to spend an evening sampling a uniquely western meal at the Pitchfork Steak Fondue and Broadway-style entertainment at the Medora Musical. Every evening in the summer, chefs load steaks onto pitchforks and fondue them western style. 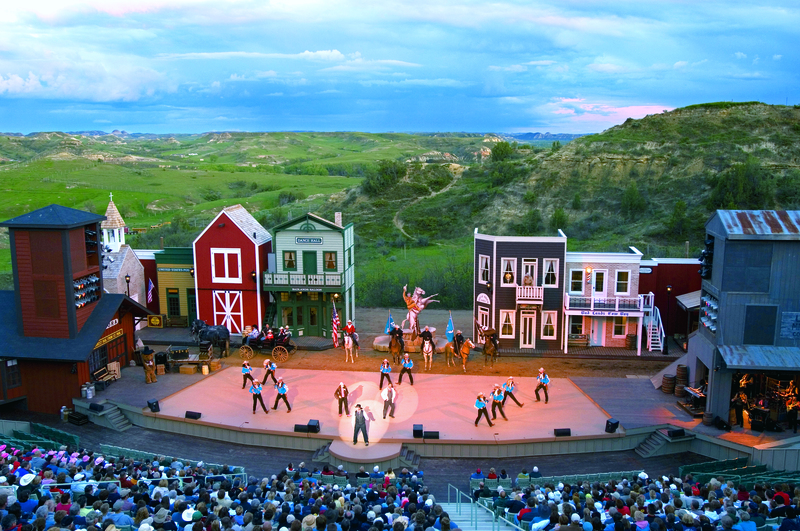 Savor your meal outside in front of the picturesque badlands of North Dakota before being treated to a live musical performed by members of The Coal Diggers from the Medora Musical. 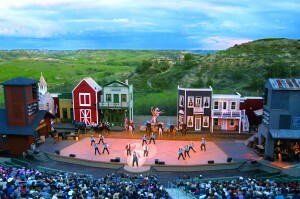 Medora Musical with Theodore Roosevelt National Park as its backdrop. As you wrap your trip up and head east through legendary North Dakota, make sure you stop for a quick photo in Rugby. 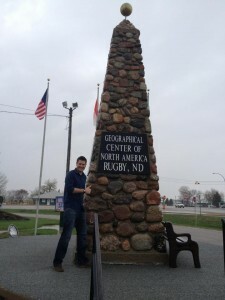 This is the Geographic Center of North America and makes for a fun conversation piece. The center is marked with a monument and lies at 48 degrees 21’19” N; 99 degrees 59’ 57” W.
Standing at the center of North America. Happy Trails: No Goodbyes; See You Next Time! At the end of your voyage, take time to visit St. Paul, Minnesota, a city steeped in American history. 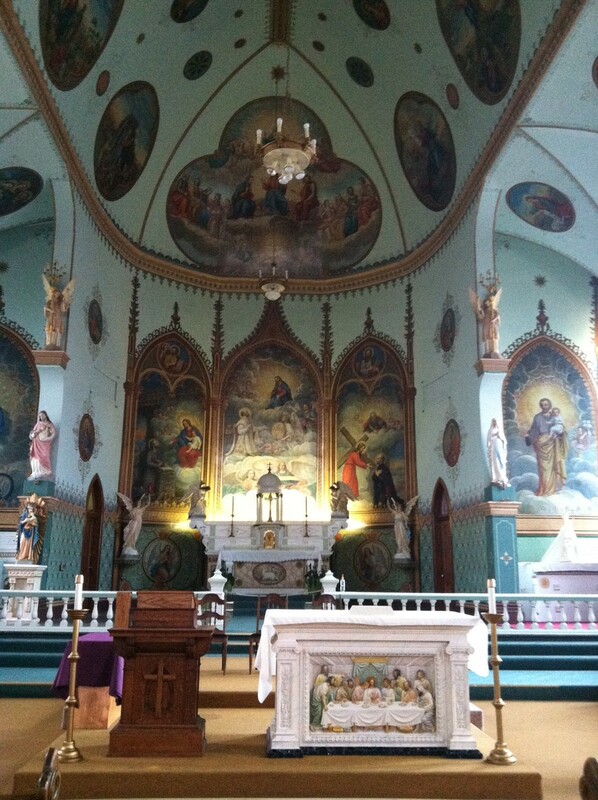 Explore the city’s Prohibition-era gangster past. Be sure to visit the James J. Hill House, an American Gilded Age mansion on Summit Avenue. The mansion is unreal and it was incredible to see what a railroad tycoon lived like in the late 1880s. On your last stop, make sure to visit the Mall of America in Bloomington, Minnesota, before flying out on one of several direct flights to Europe and other major hubs. 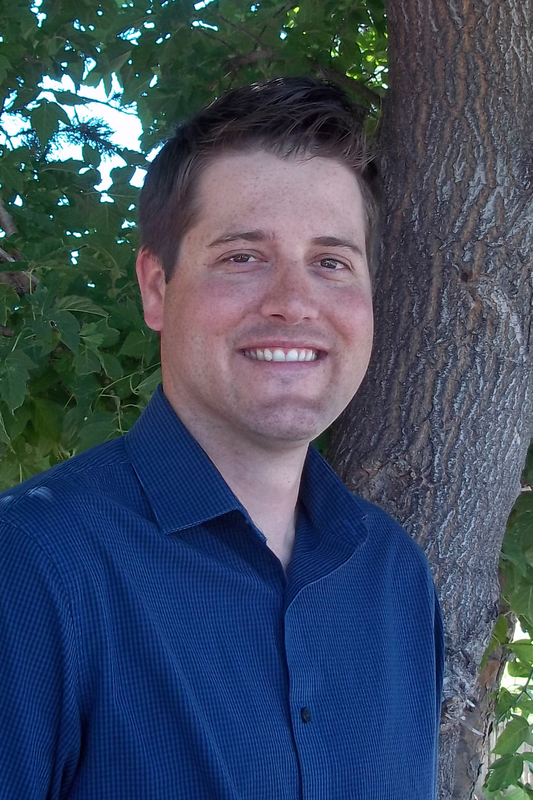 About the author: Mathias was raised, educated and well established in Wyoming, where he is owner and CEO of Rocky Mountain International in Cheyenne, Wyoming. He spends most of his free time with friends and family and you’ll regularly find him backpacking throughout the Rockies or at a baseball game in the summer. A beginner collector of 19th century American artwork and prints, Mathias loves the history and culture of the place he calls home and is lucky enough to promote this region as a profession. 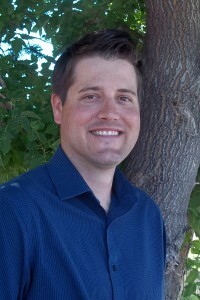 Mathias resides in Cheyenne, WY with his wife Catherine, daughter Sienna and son Ivan. About Rocky Mountain International: A small business that specializes in international travel and tourism promotion for #RealAmericaUSA. Founded in 1990, RMI employs offices in Cheyenne, London, Munich, Sydney, Paris, Milan and Amsterdam. This entry was posted in FIT, Motorcycle Tours, Tour Operators and tagged FIT, Group Tours, Guest post, Tour Operators on April 19, 2016 by Tia. While Montana is known for its stunning scenery, it’s also becoming a popular craft beer destination. More than 20 breweries in Glacier Country are serving up Montana-inspired beer by the names of Cold Smoke ®, Yaak Attack, Dry Fly, Face Plant, Moose Drool and Clothing Optional, visitors to our region are certain to discover plenty of palette-pleasing malted beverages that perfectly capture Montana’s many flavors and diverse offerings. Plus, each brewery in Big Sky Country is committed to using Montana-grown ingredients like malted grains, as well as huckleberries and honey. A visit to brewery taprooms and brew pubs are a great way for individuals and groups to taste the flavors of Montana, as well as mingle with the locals. 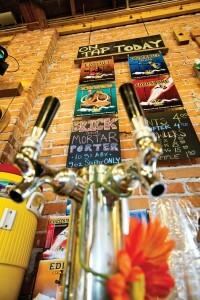 And in Western Montana’s Glacier Country, there are four distinct and fun ways to experience breweries. 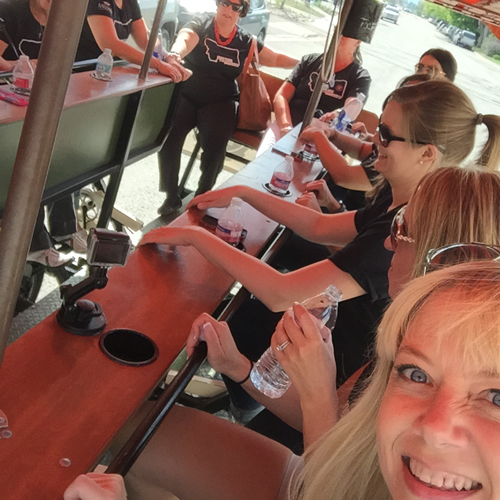 Brewery bus tours are a fun, affordable and safe way to experience multiple breweries and pubs in one day. 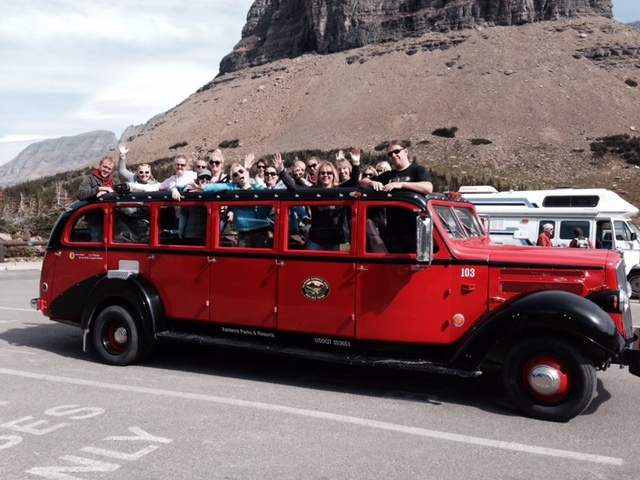 This is a great way for a few people or a group up to 12 to ride in comfort on a guided bus tour to Montana breweries to taste award-winning beer. 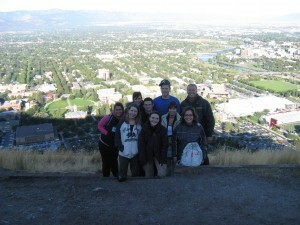 Tap Room Tours, located in Missoula, has scheduled and custom tours (group rates available) throughout Missoula and the Bitterroot Valley. These guided bus tours allow riders to take in the beauty of the Bitterroot Valley while making stops at breweries in the valley’s charming small towns of Lolo, Stevensville, Hamilton and Darby. Some tours also include distilleries, providing attendees the option to taste locally made whiskey, gin and vodka. For your clients who are looking to do something fun and out of the ordinary, group bicycle tours are the perfect activity. Thirst Gear operates a 15-person bicycle where the riders provide the pedal power that leads the bike-like vehicle to the best breweries and watering holes in downtown Missoula. Custom tours are available. A favorite activity for locals and visitors alike is attending a festival or brewfest. During Western Montana’s warm season, it is not hard to find special events celebrating seasons, holidays and locally grown or homemade food/beverages, artisan wares and crafts. These events are highly recommended, as they often serve a selection of craft brews. Brewfests, in particular, have many breweries serving on-site, allowing your clients to hop from tent to tent and taste a variety of Montana beer along the way. Visitors can find festivals and brewfests year-round in Western Montana: Winter Brewfest (Missoula), Tamarack Festival and Brewfest (Seeley Lake), Bitterroot Brewfest (Hamilton), Bigfork Brewfest (Bigfork), Montana Brewers Fall Festival (Kalispell) and Summer S.N.O.W. Bus Brewfest (Whitefish). Visit Glacier Country’s event calendar for more information. For clientele that want to meander and explore along the way, self-guided tours are the way to go. 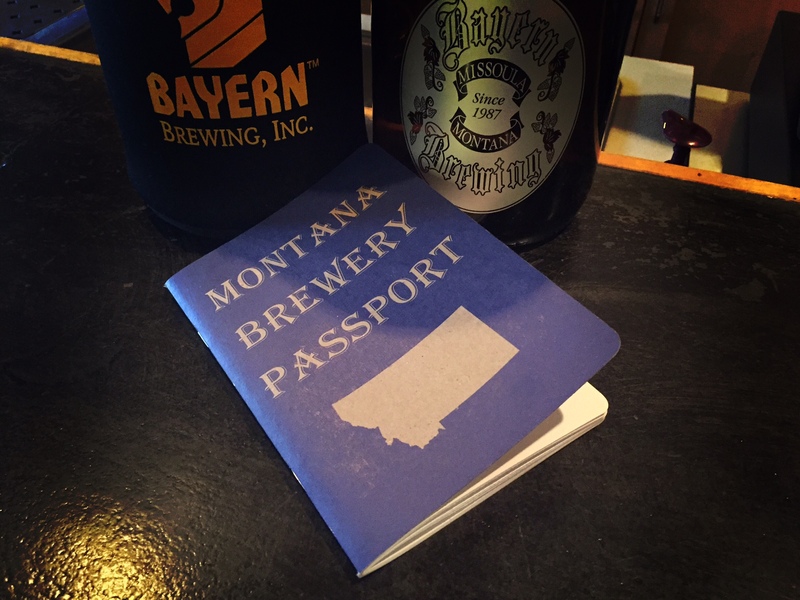 The Montana Brewers Association Trail Map is a great online tool and lets users add stops to an itinerary as a resource. Clients and FIT travelers can open the map on their mobile device or print their route and take it along with them. 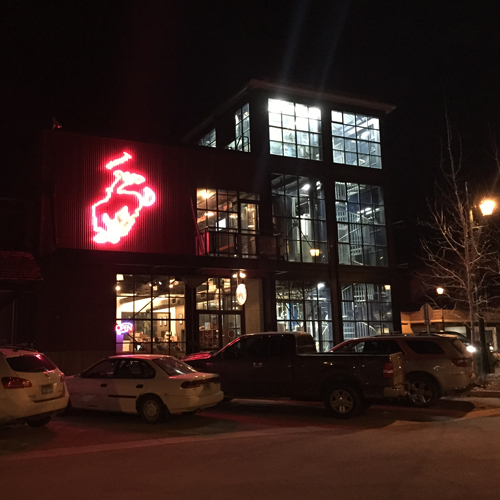 An anchor of downtown Whitefish – Great Northern Brewery. To add to the fun, we recommend buying a Montana Brewery Passport that’s available at the each of Montana’s craft breweries or can be purchased online, making it an interesting way to track which one visitors experience by having the passport stamped. Always remind your clients to be safe – drink responsibly and have a designated driver for a self-guided tour. 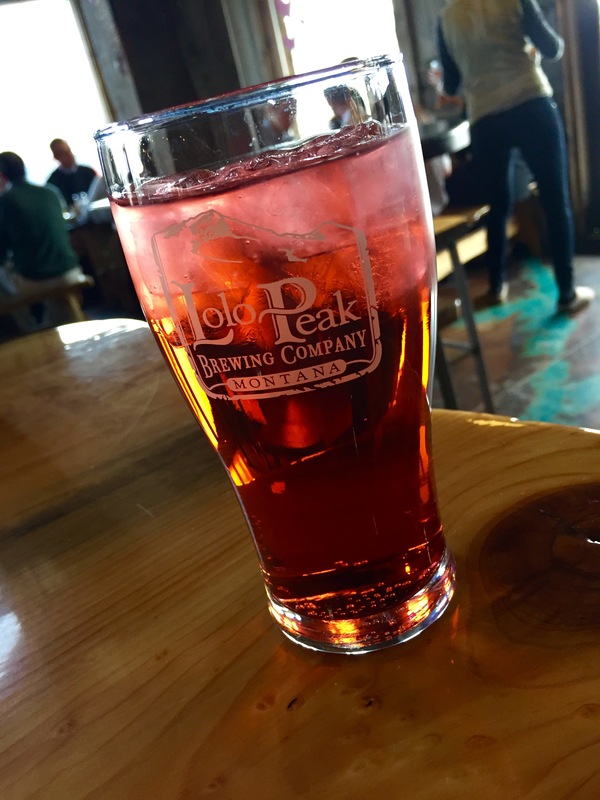 If you are not a beer enthusiast but you really like the atmosphere, breweries in Montana have delicious homemade non-alcoholic beverages like flavored soda, ginger ale and root beer. My favorite is Kalispell Brewing Company root beer. Huckleberry soda at Lolo Peak Brewery. Flights (also known as samplers) are small samples of several beers and are very popular if you are unsure which beverage to order. 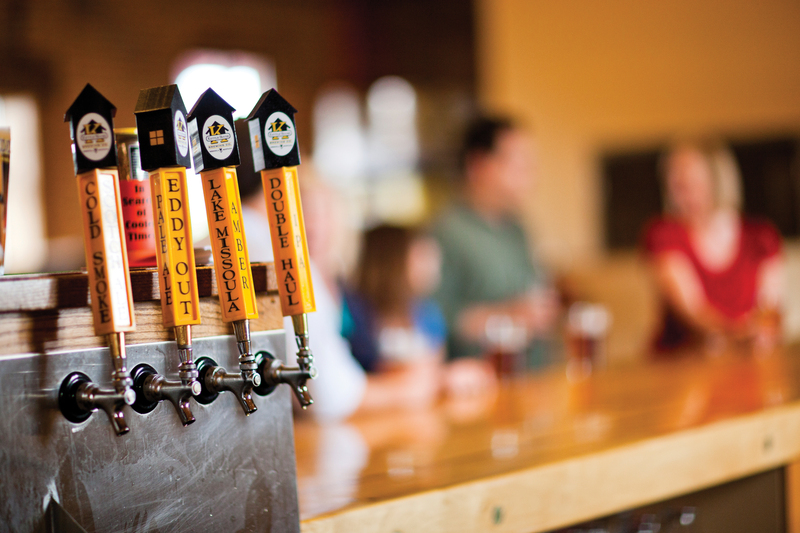 Many breweries love to share their story and offer guided tours to groups. Cabinet Mountain Brewing Co. (Libby) – tours are free and available upon request. 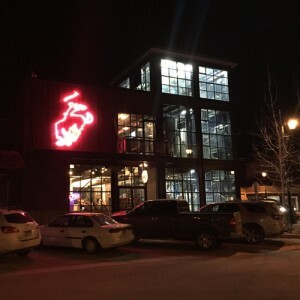 Kalispell Brewing Company (Kalispell) – tours are free and available upon request with advance notice. Montana’s breweries are legally allowed to be open from 10 a.m. to 8 p.m. and each consumer is limited to 48 ounces in a single day. 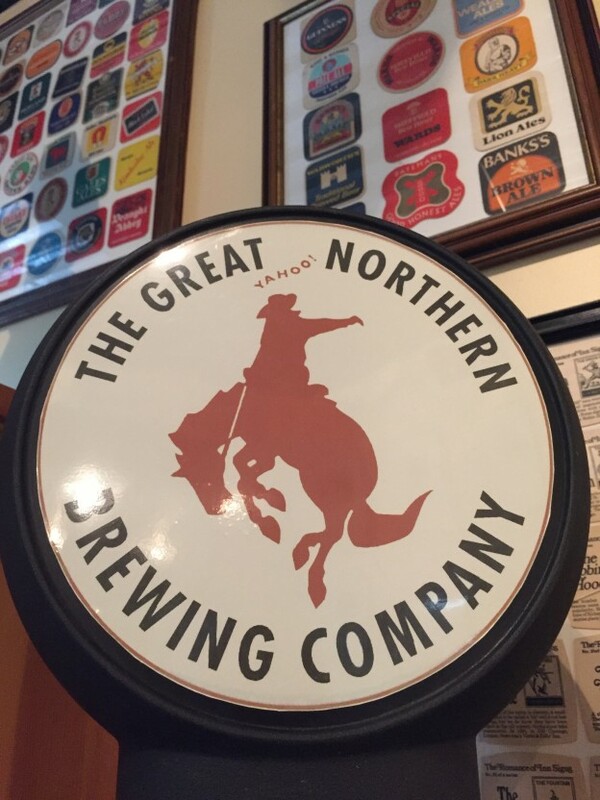 Visit our webpage or contact Debbie Picard, Tourism Sales Manager, for a complete list of breweries in the Glacier Country region to help plan your itinerary. This entry was posted in Culinary, FIT, Meetings & Conventions, Motorcycle Tours, Tour Operators on February 18, 2016 by Racene. 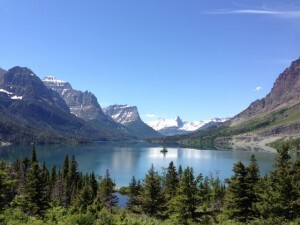 As the Tourism Sales Manager for Glacier Country Tourism I am often asked by tour operators and travel agents who specialize in domestic group travel or individual fly/drive tours, when the best time is to visit Western Montana’s Glacier Country. 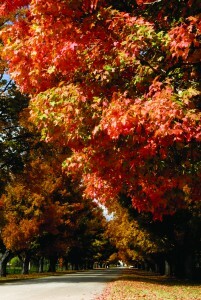 Without hesitation, I answer fall. 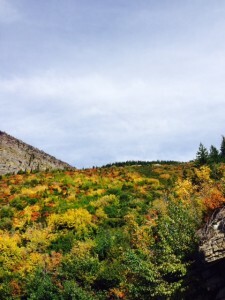 While every season in Montana is notable and offers its own distinct group offerings, there’s something special about fall in Glacier Country, especially when it comes to creating a memorable visit for your clients. 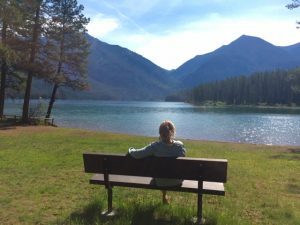 To help plan the perfect fall itinerary, here are my top 3 reasons to visit Western Montana in autumn. As one of Montana’s top attractions, Glacier National Park offers stunning scenery year-round, with fall colors adding an additional “wow” factor. More benefits to a fall visit: the park is less crowded than the peak summer months of July and August and the average temperatures are comfortable with daytime highs in the low 70s F (21 C). 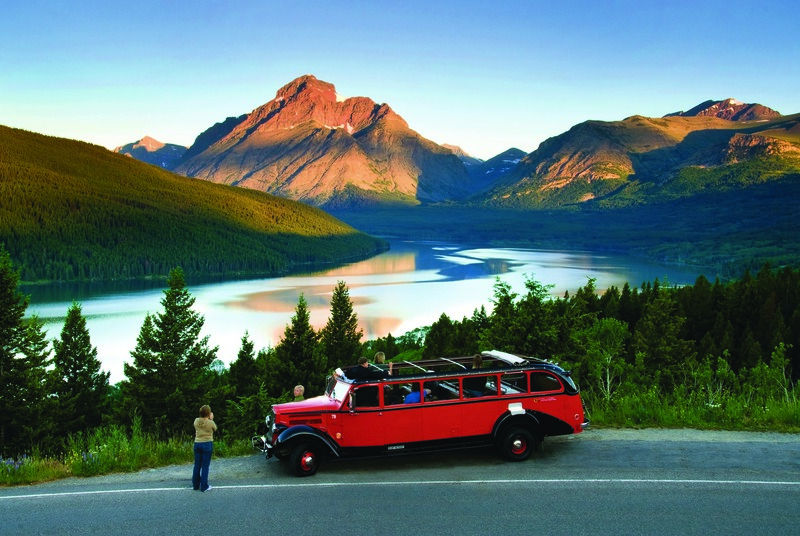 Plus, many of the activities that are available during the summer months are still offered in the fall, including interpretive tours with Sun Tours and the iconic red bus tours provided by Glacier National Park Lodges. 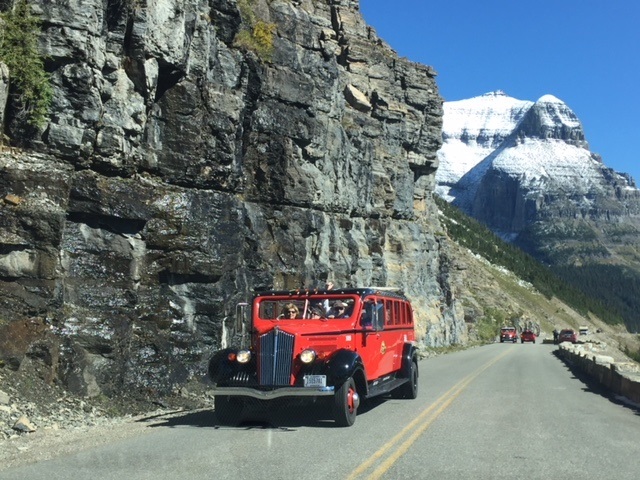 Both companies take visitors over the Going-to-the-Sun Road until mid-October. 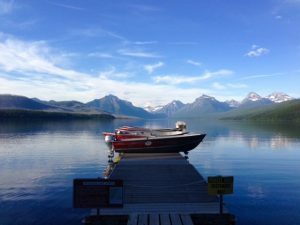 Glacier National Park remains open year-round (even after the closing of the Going-to-the-Sun Road in October) and welcomes visitors to explore the flora and fauna and see local wildlife. 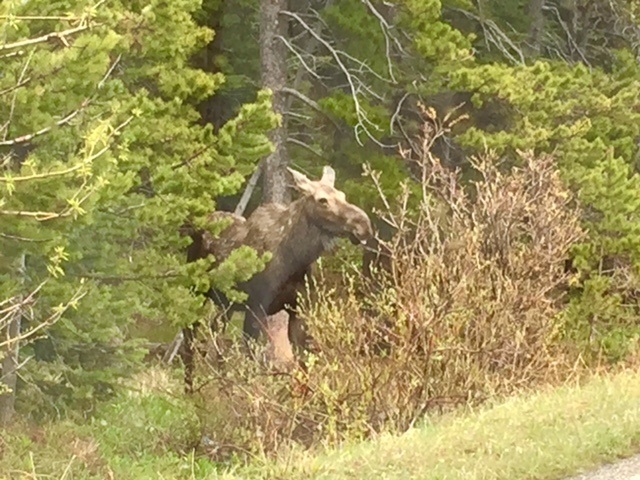 Look for deer, elk, moose, mountain goat and bighorn sheep as well as black and grizzly bears. 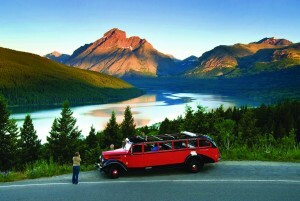 Check out additional suggestions for fall activities in Glacier National Park here. 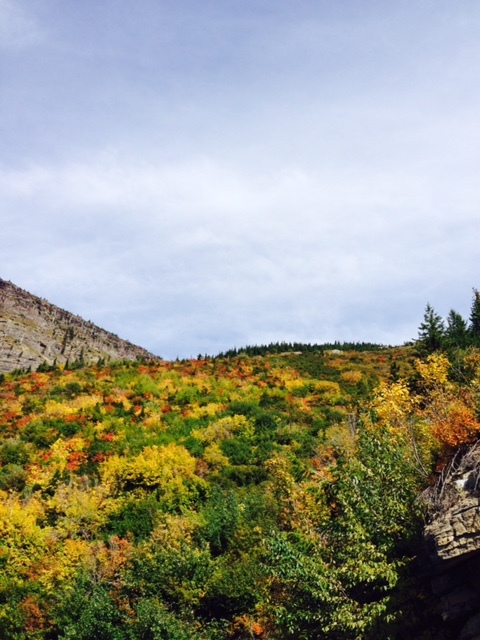 Beautiful fall colors along the Going-to-the-Sun Road. Fun fall day on a red bus tour. Mountain goats like the people trails too. With wide open spaces, minimal traffic and well-maintained highways in Montana, taking a fall drive is a must. If your tour is part of a larger regional itinerary and you have the chance to get off the main interstates and take the road less traveled along our scenic highways, do it. Sitting at 96 miles long, the Bitterroot Valley is framed by the Bitterroot Mountains to the west and the Sapphire Mountains to the east, with beautiful fall foliage in every direction. 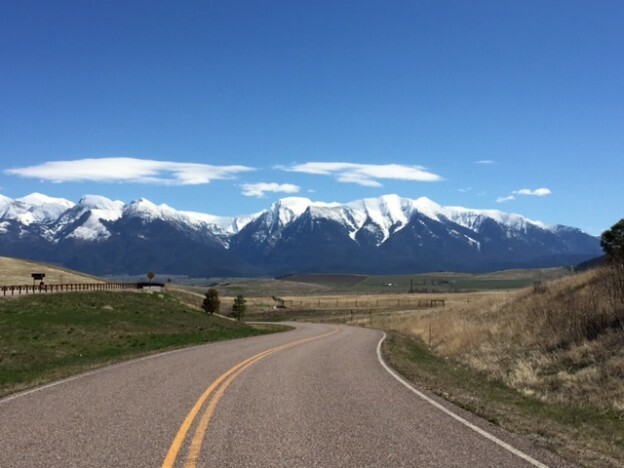 As you cruise along Highway 93, stop in and visit the charming Montana towns of Darby, Hamilton, Victor and Stevensville. Stroll through their main streets and experience western hospitality as you browse through boutique stores and art galleries. Afterwards, please your palate with a stop at one of the local restaurants or breweries. 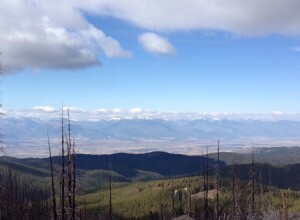 A bird’s-eye view of the Bitterroot Valley from the Sapphire Mountain Range. 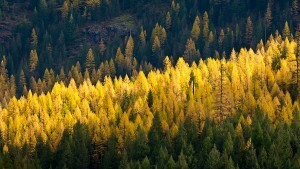 The far northwest corner of Montana is a bit off-the-beaten-path but with its expanse of old growth forests and wilderness is a showstopper when it comes to fall foliage. 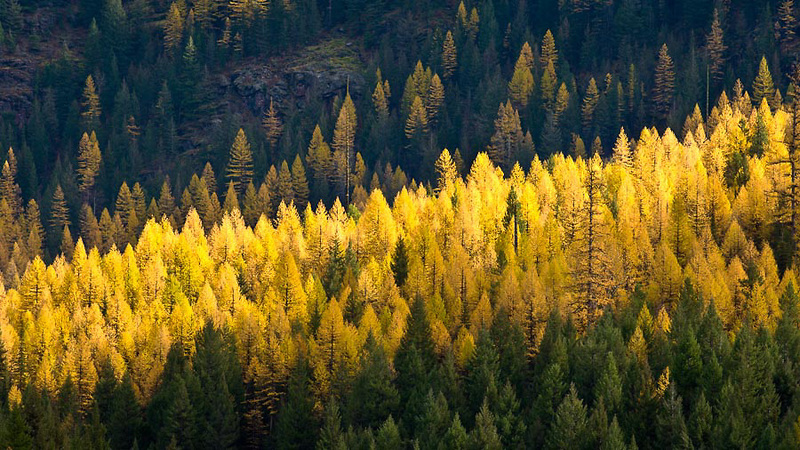 The spectacular hues of the western larch—also known as the tamarack—are stunning. 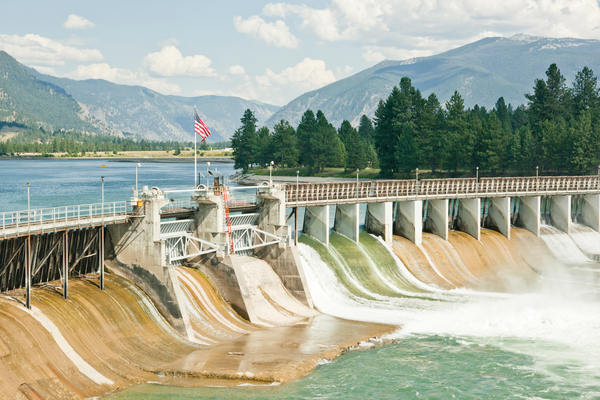 Take Highway 37 along Lake Koocanusa with a stop at the Libby Dam Visitor Center and experience the power and beauty of the Kootenai River. Another spectacular drive is Highway 2 between Libby and Troy. 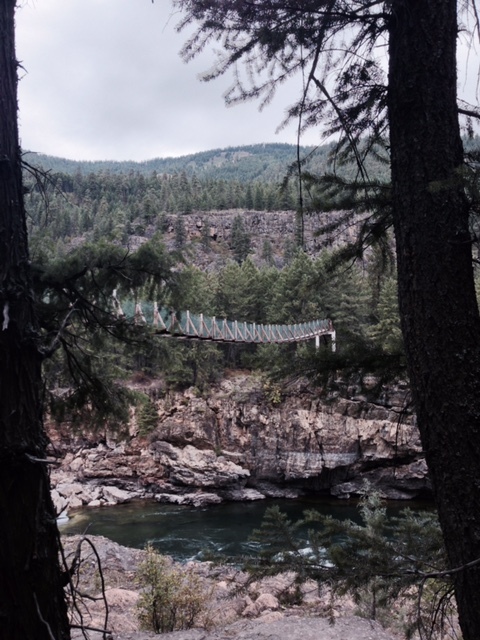 Be sure to stop to see Kootenai Falls and the swinging bridge. Also of note: this is where the movie The River Wild was filmed with Meryl Streep and Kevin Bacon. 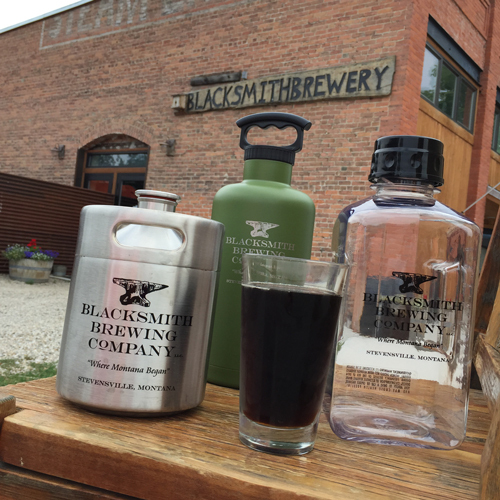 Meet up with the locals in Libby, Troy and Yaak for a taste of small town Montana. Here are additional scenic fall drives that might be incorporated into your Western Montana itinerary. Events are often the best way for group tours and international visitors to get to know the flavor of the place they are visiting. 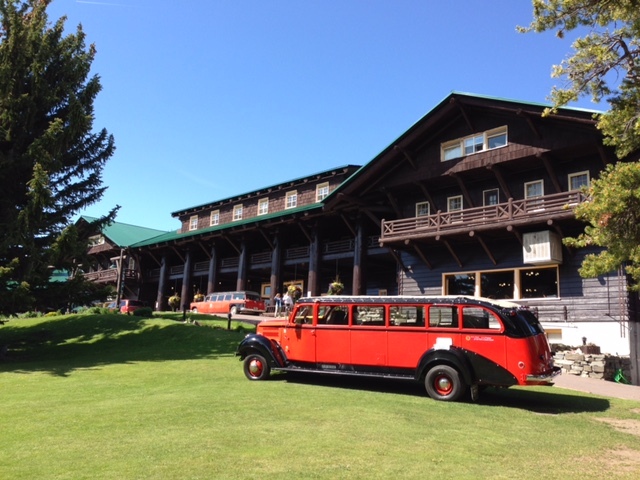 There is no shortage of fall events to choose from in Glacier Country. A few to note: Montana Dragon Boat Festival, Great Northwest Oktoberfest, McIntosh Apple Days and Seeley Lake Tamarack Festival & Brewfest. Held on the shores of Flathead Lake, the Montana Dragon Boat Festival takes place every September. 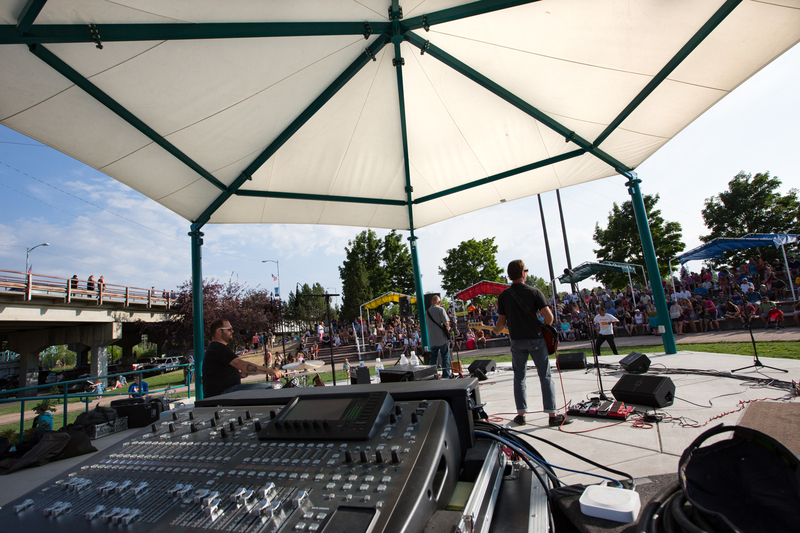 In addition to teams racing on the water, this event is fun for spectators and includes live music, children’s activities and made in Montana vendors. 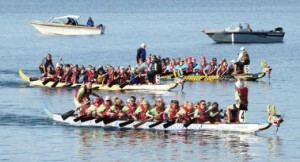 Montana Dragon Boat Festival on Flathead Lake. Great Northwest Oktoberfest runs over two weekends in Whitefish—the last weekend in September and first weekend in October. This festival is all about fun and includes traditional food, music and quirky competitions like keg hurling, log sawing and stein holding. A few hours south of Whitefish, McIntosh Apple Days take place in Hamilton in October. 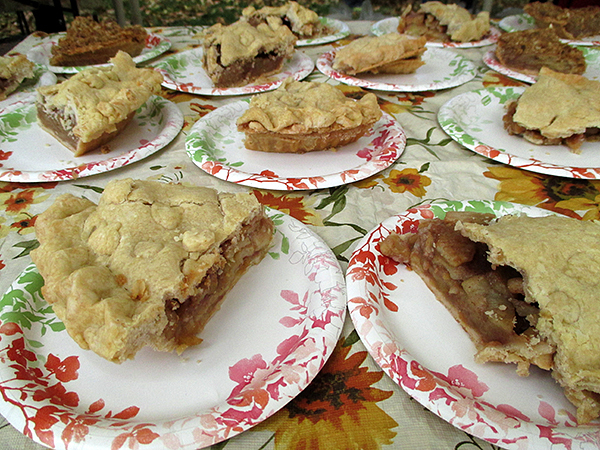 This festival is all about apples, with highlights including live entertainment and a giant bake sale that features homemade apple pies, caramel apples and apple butter. McIntosh Apples make the best pies. Last but not least is the Seeley Lake Tamarack Festival & Brewfest. 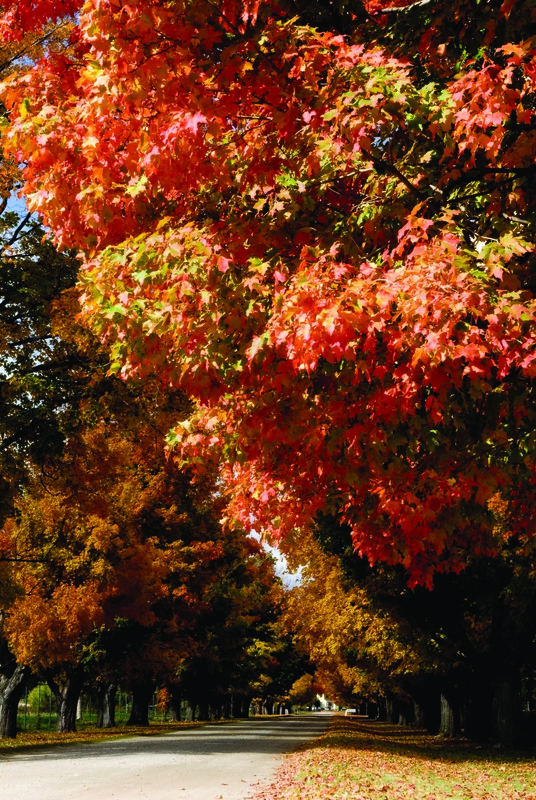 This event celebrates fall and the beauty of the turning colors of the tamarack trees. For additional itinerary suggestions, visit our tour operators website or feel free to drop me a line. 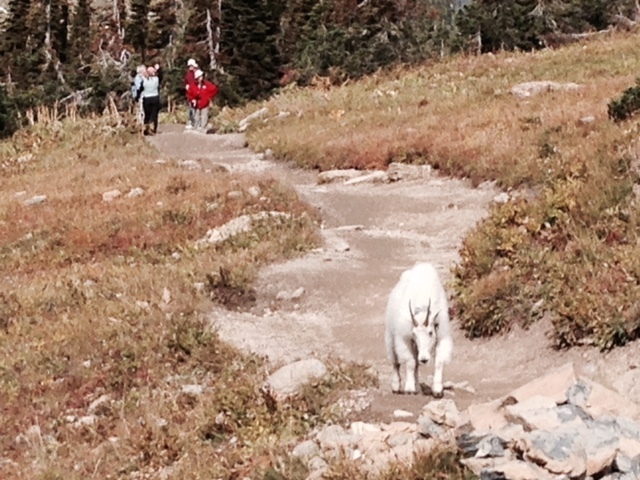 I’m happy to help plan your next fall itinerary in Western Montana’s Glacier Country. This entry was posted in FIT, Motorcycle Tours, Tour Operators and tagged Festivals and Events, Glacier National Park, Group Tours on August 24, 2015 by Debbie. When it comes to riding the open roads of Montana on a motorcycle, Western Montana’s Glacier Country has the most miles of well-maintained roads in the Treasure State. 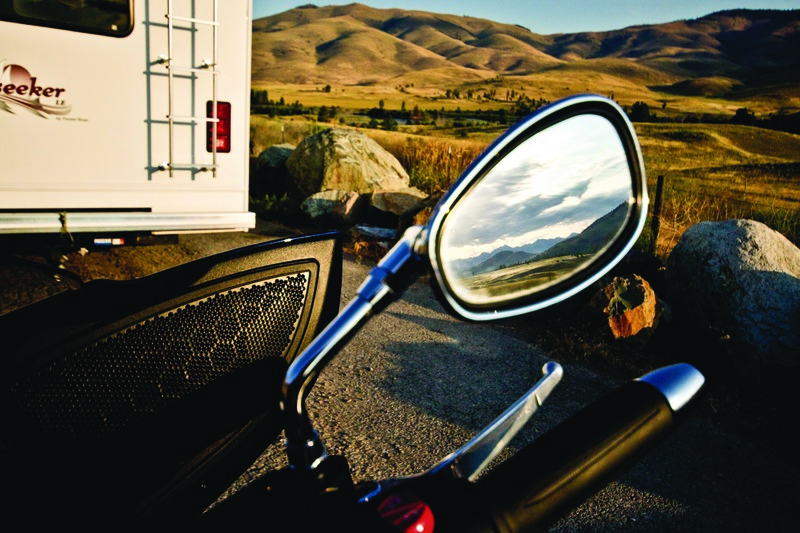 And that’s not just us bragging—it’s what we hear from motorcycle enthusiasts who have explored our neck of the woods and told us that Western Montana was made for motorcycle touring. 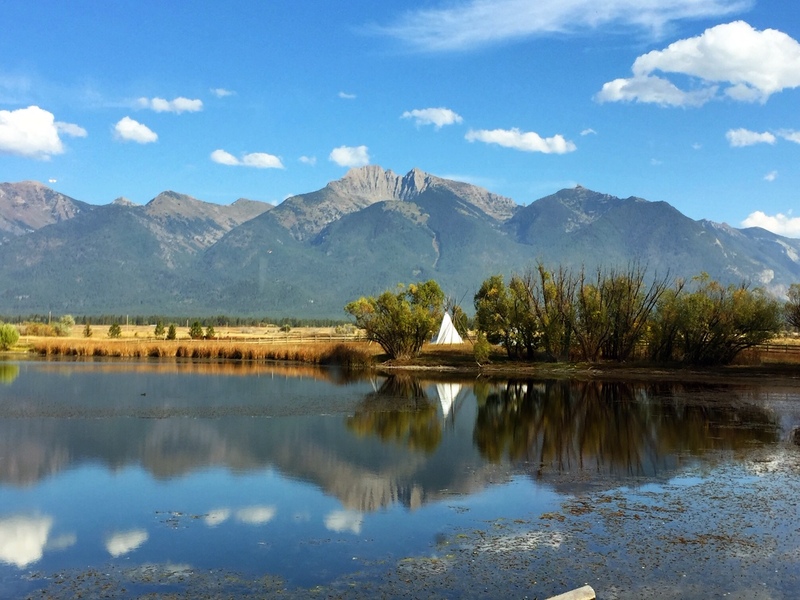 With fresh Rocky Mountain air to breathe and winding roads—many which follow river bends—it’s easy to connect to the spirit of Montana and find a “wow” around every corner. 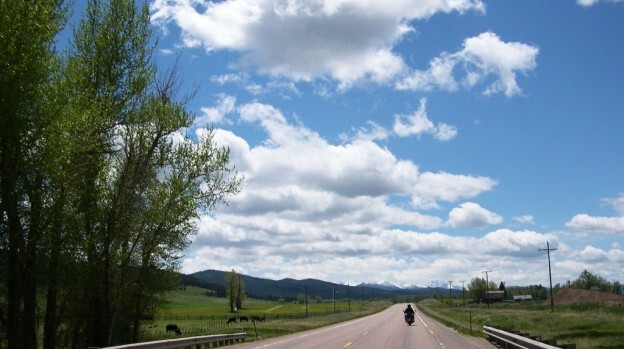 Even the main interstate, I-90, that runs west to east through Montana is an ideal freeway for motorcycles with ample shoulders and plenty of pullouts along the way to take a picture of the stunning scenery that can be seen from on top of a bike. When considering a riding tour in Western Montana, ease of access to our open roads is important. 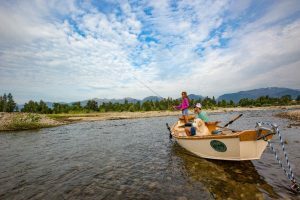 With two international airports serving both the northern tier and southern tier of Western Montana’s Glacier Country, getting here is easy. 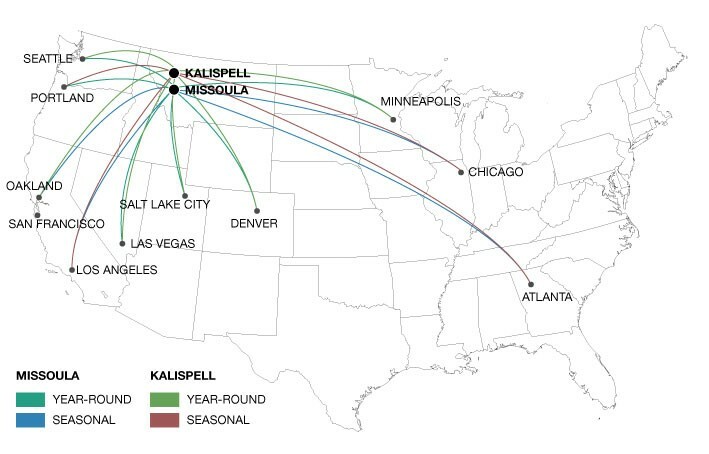 Both Missoula International Airport and Glacier Park International in Kalispell, have direct flights that arrive regularly from major cities. Riders can bring their own bike or fly into Missoula International Airport and rent a motorcycle from one of the rental companies located in Missoula. 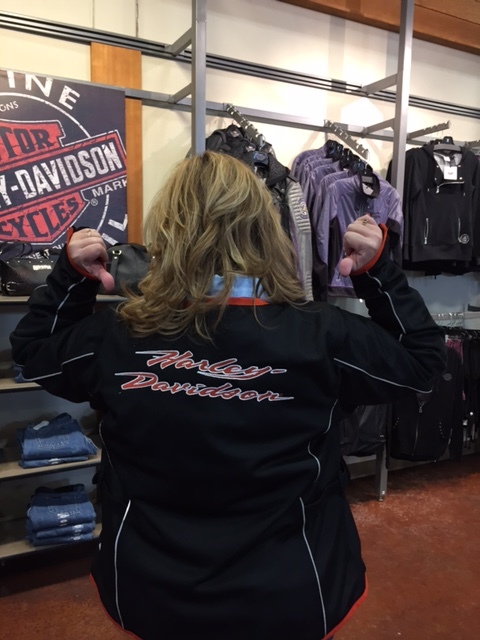 For the Harley-Davidson enthusiast, visit Grizzly Harley-Davidson located 1 mile from the airport or Montana Motorcycle Rentals located 6 miles from the airport. 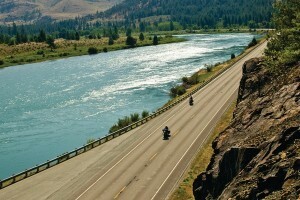 With thousands of miles to ride in Montana, there are several road trip options for planning a motorcycle itinerary. These routes can also be combined for an awe-inspiring four-day motorcycle tour through Western Montana’s Glacier Country. Missoula to Bigfork: Leaving Missoula, travel north on Highway 93 to Highway 200 to visit the National Bison Range. This 18,500-acre refuge is home to over 300 bison as well as deer, elk, bighorn sheep and bear. 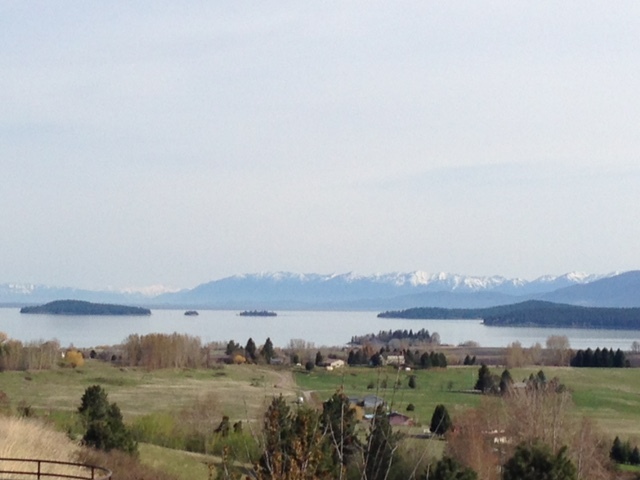 Continue north on Highway 93 into the town of Polson and capture a breathtaking view of Flathead Lake–the largest natural freshwater lake in the West. Stop in at the Miracle of America Museum for a look at a collection of vintage motorcycles on display. From Polson, travel along Highway 35, a route that travels along the eastern edge of Flathead Lake and, if in season, be sure to stop at the roadside fruit stands and taste the delicious Flathead cherries that are grown locally. 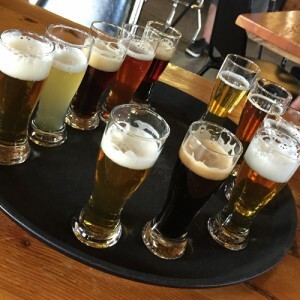 Continue onto Bigfork and enjoy a tasty treat on the deck at Flathead Lake Brewing Co., one of the many microbreweries throughout Glacier Country. Glacier National Park: Just 35 miles to the north of Bigfork is the west entrance to Glacier National Park, also known as the Crown of the Continent. Here, riders will begin their journey over the 50-mile-long Going-to-the-Sun Road. The road travels through the heart of the park and pristine wilderness, jagged peaks and glacial-carved valleys. Keep in mind that this road is beautiful but challenging, with sharp turns and dramatic climbs to Logan Pass at over 6,500 feet. From St. Mary (the east entrance of Glacier National Park) continue to East Glacier Park with a stop to visit historic Glacier Park Lodge, built in 1912 by the Great Northern Railroad. 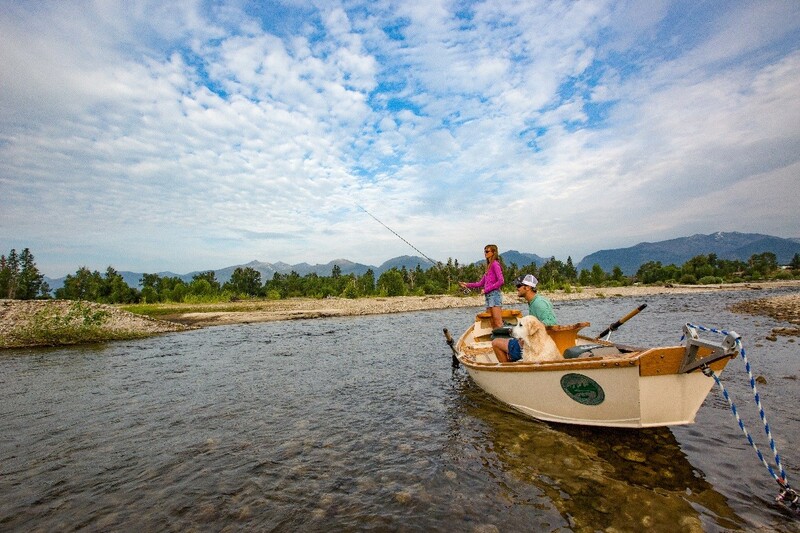 Continue your ride back west on Highway 2 to the charming town of Whitefish. 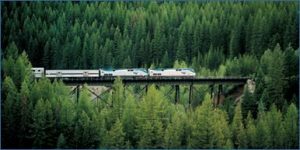 Whitefish to Thompson Falls: One of Montana’s most relaxing and serene rides is this route out of Whitefish heading north on Highway 93 towards the delightful town of Eureka, just five minutes south of the Canadian border. 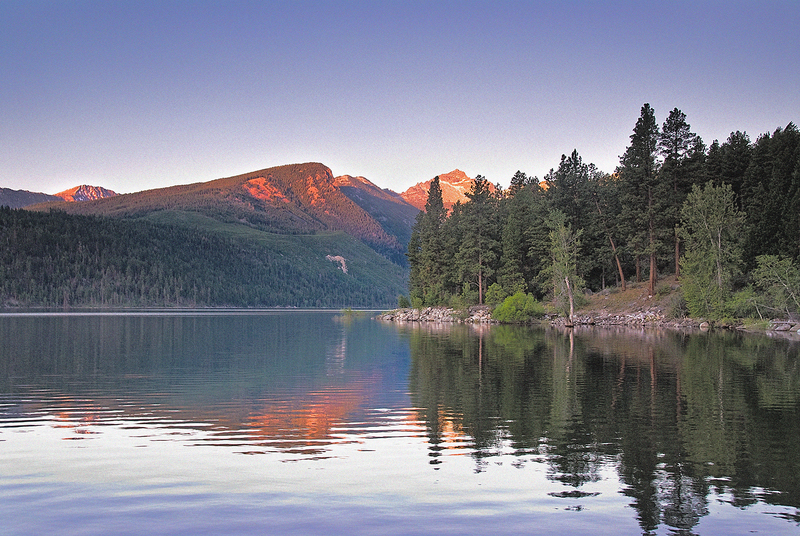 This ride takes you toward Rexford on Highway 37 and along Lake Koocanusa, a 90-mile-long reservoir behind Libby Dam—a must stop. The roads on either side of the lake make a wonderful loop with heavily forested terrain with an abundance of wildlife. 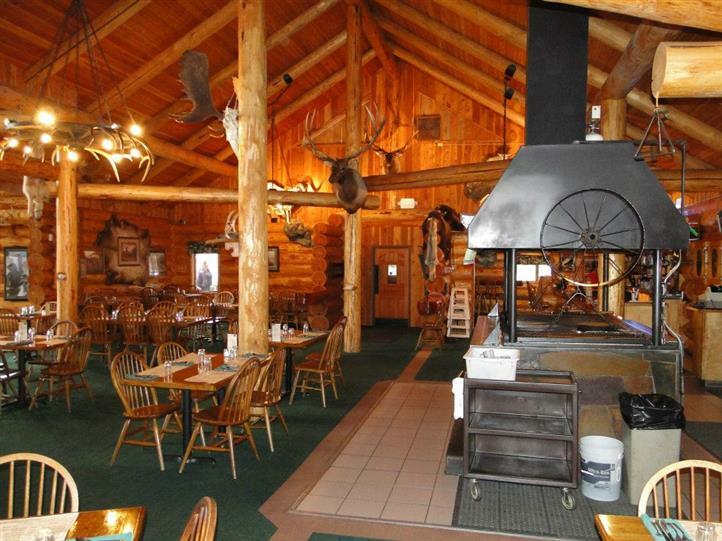 Follow Highway 567 north to Yaak, home to the infamous bar “The Dirty Shame Saloon” and the Yaak Mercantile. Between Troy and Libby on Highway 2 at milepost 21, is a walking trail out to Kootenai Falls, one of the largest free-flowing waterfalls in the northwest and the setting for the filming of the movie, The River Wild. Continue south on Highway 56 and stop at Ross Creek Cedar Grove where riders can stretch their legs as they wander through ancient western red cedars. 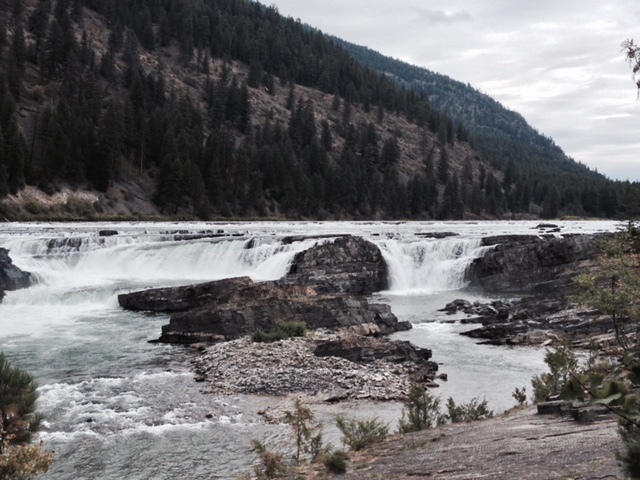 Continue southeast on Highway 200 along the beautiful Clark Fork River to either Trout Creek or Thompson Falls. Thompson Falls to Missoula: While riders can take the direct route to Missoula along Highway 200, there are several side trips that this corner of Montana offers. Highway 28 to Elmo and the western shore of Flathead Lake is a beautiful ride. Another alternative stop off of Highway 28 is the quirky town of Hot Springs, named for their hot mineral springs. After arriving in Missoula, visit the Smokejumper Visitor Center for a free tour to learn about the men and women that drop-in and fight forest fires in rugged back-country terrain. 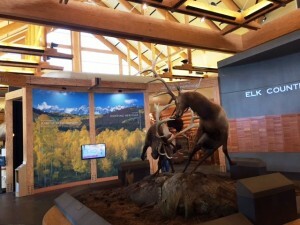 Stop in at the Rocky Mountain Elk Foundation Elk Country Visitor Center to learn about their conservation efforts and wildlife management. From there, head to downtown Missoula—the cultural center of Montana. Take in a walk along the riverfront and Caras Park where you’ll notice Brennan’s Wave a man-made whitewater play area for kayakers and river surfers. Montana is the 4th largest state geographically in the U.S. and with a population of just over 1 million people, traffic and crowds are not usually problematic. When planning a trip for your clients to Montana, early summer and early fall are the most optimal motorcycle riding times of the year. This time of year offers warm temperatures for riding as well as less visitors and RV travelers on the roads, especially around Glacier National Park. For more detailed information about Montana’s motorcycle routes and itineraries, as well as recommendations on where to stay, visit www.glaciermt.com. If you need further help in planning a Western Montana itinerary for your clients, feel free to drop a line here. We hope to see you here in Big Sky County. This entry was posted in FIT, Motorcycle Tours, Tour Operators and tagged Group Tours on July 8, 2015 by Debbie.